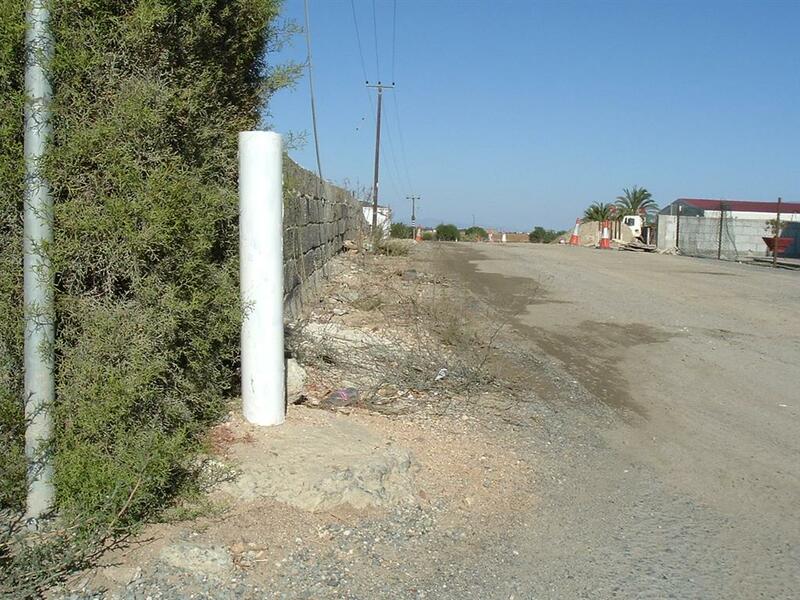 This is the UK-CY border marker on the road entering the Cypriot village of Xylotymvou from the southeast. Differnt views of the same marker--note that the border probably runs somewhat along this wall. The UK is on the right in the first picture and on the left in the second picture. 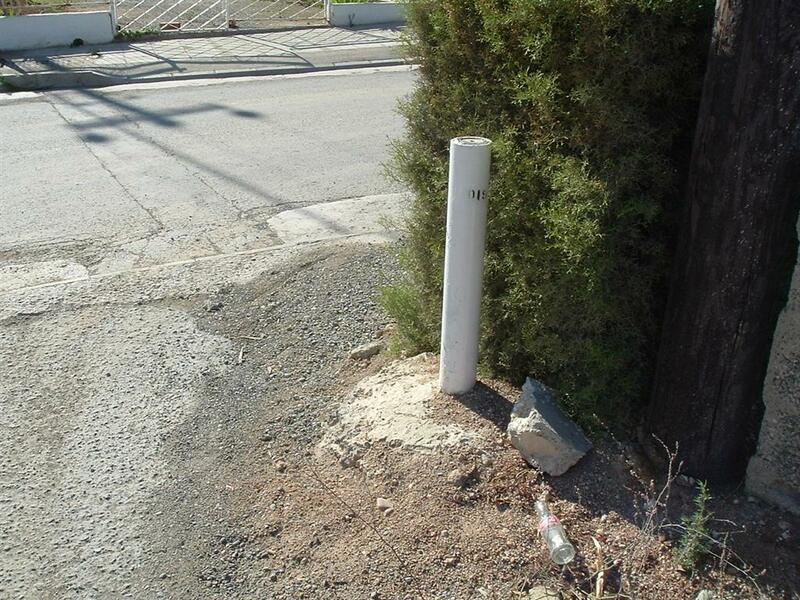 This is the marker on the road that leaves Xylotymvou toward the southwest. 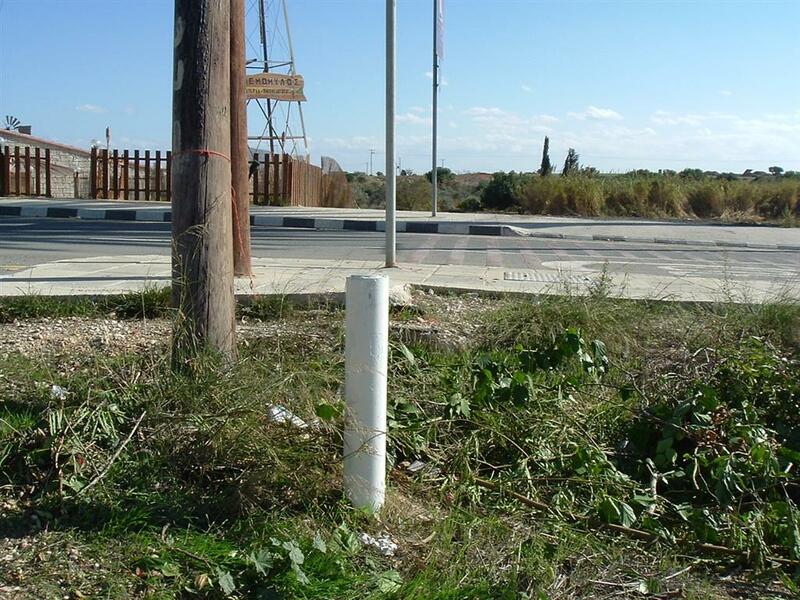 Cyprus on the left, UK on the right. 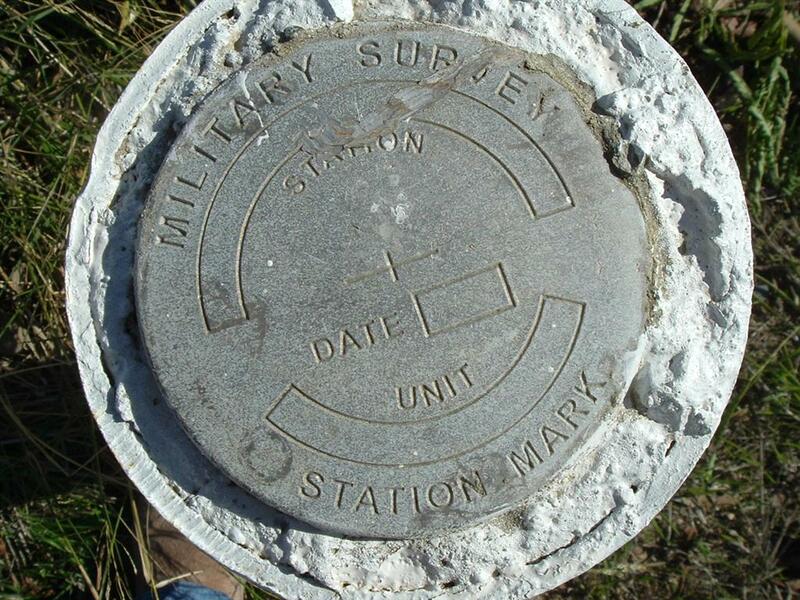 Top of the marker. 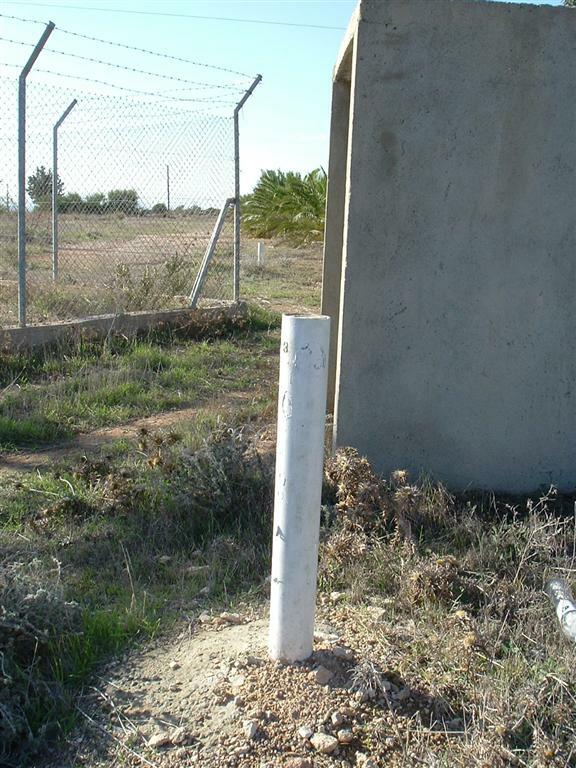 These two pillars mark the border around the Dhekelia Power Station. 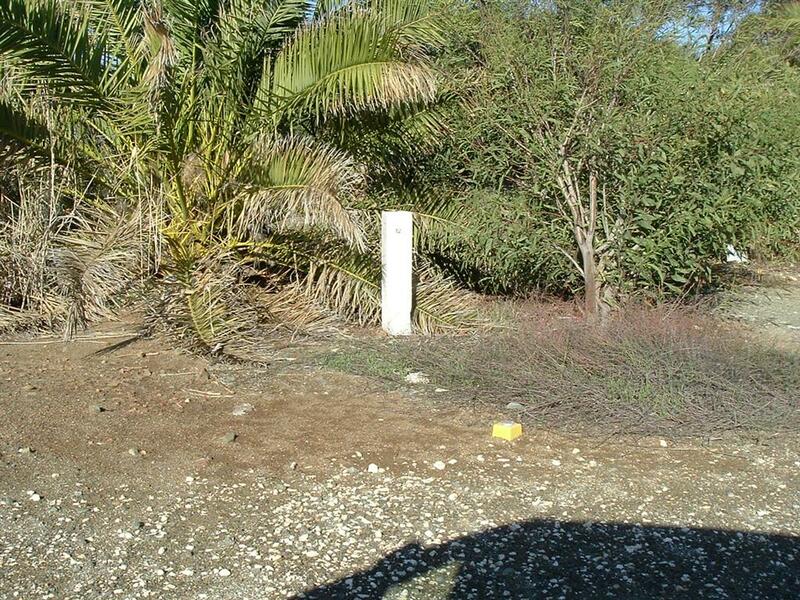 In the first picture, I'm in the Cyprus enclave looking in the British base. In the second picture I'm on the border (see the second pillar in the distance) with the UK on right and Cyprus power station on left.